The Cincinnati Show in 1991 was at Riverfront Colesium, not at the Gardens. hey don't stop this website. I know i saw them open for X at Cal Poly in San Luis Obispo in the eighties. I don't see it on the list's. If anyone has any info on this show could you please e-mail it to me. I need it for research for a book I'm writing. 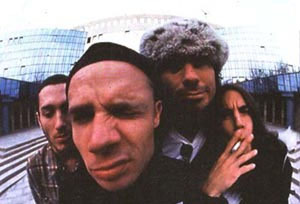 this site is helpfull for every rhcp freak. love it. contact me if anyone has got some old rhcp stuff.